Is there some reference in this association? Does it correspond to some tradition or is it just made up in this manga? This is just my interpretation, however I believe it is close. Wrath is described as extreme anger, fury and/or rage. Apart from the most common belief that dragons breathe fire, which is normally connected to extreme anger (which we even see in anime when a character becomes angry they erupt in flames), dragons are also depicted as clam creatures whose path of destruction is brought about by their rage/anger. When a person is envious of another, they normally poison oneself in some form or another which will normally lead to their own self-destruction if they don't change their ways. Take Snow White's stepmother: in the original works, because of her envy towards Snow White's beauty she continues to plot to get rid of Snow White until at the very end after arriving at Snow White's and the Prince's wedding. As a punishment for her attempted murders, a pair of glowing-hot iron shoes are brought forth with tongs and placed before the Queen. She is forced to step into the burning shoes and to dance until she drops dead. This one I am not entirely sure, but foxes can be seen as greedy as they will prey on any small animal for food, including new born lambs only a few days old (have had personal problems with Foxes where I live when lambs are born). Also, as Septian Primadewa has commented, foxes are depicted in stealing things such as his example of Swiper from Dora the Explore. Sloth is normally seen as the reluctance to work or make an effort or just general laziness. If you think about how grizzly bears will hibernate for the winter sleeping the entire time you can normally associate someone who sleeps all the time as being lazy. The goat can sometimes be symbolized as lewdness. When carried over into Christianity, the goat represents the Devil, lust and the damned while the sheep symbolizes the saved. Also in general, both sexes of goats symbolize fertility, vitality and ceaseless energy, with the male goat representing masculine virility and creative energy, while the female goat represents the feminine and generative power. Main Source. The boar is a wild pig..... do I need to say any more how pigs represent gluttony? Lions are normally seen as prideful creatures. 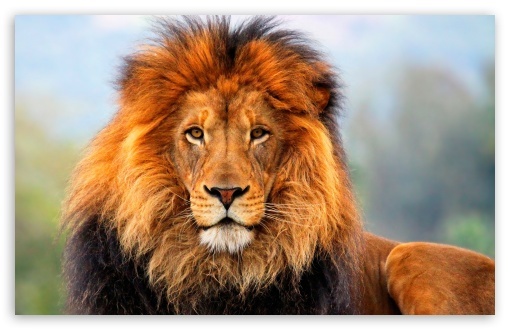 With the alpha lion, the herd it leads is normally referred to as its pride, and given that lions fight over the top spot of the pride, to be its leader would be quite the satisfaction derived from the achievement of having become the leader. Also when we generally think of lions, the first image we think of is normally one with the large mane. Wouldn't you take great prideful of that? Not the answer you're looking for? Browse other questions tagged culture nanatsu-no-taizai or ask your own question.